While economic development organizations have always known this, recognition that Tech companies have an important role to play in the economic development of a city has been growing steadily among the investor community. As Tech investors grapple with an increasing sense of social responsibility, they have been looking to inspiration from cities outside of their traditional purview. Remarkably, St. Louis’ startup ecosystem was often on their radar. In 2018, after years of stealthy bus tours to the Midwest, prominent investors started acting on their meditations, putting St. Louis at the center of many conversations. The 12 months between summer 2017 and 2018 saw both East Coast based companies and Silicon Valley investors turning their attention to the Heartland. Innovators quietly made moves in 2017 that really came to fruition in 2018. 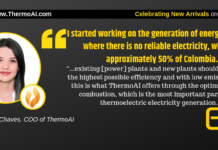 For example, VentureBeat launched the Heartland Tech Channel, Longneck & Thunderfoot acquired EQ, Techli got acquired by Publicize, and Paul Singh from 500 Startups went on a bus tour of America. In 2017, those moves saw an uptick in national coverage on startup successes stemming from St. Louis and increased recognition of the type of work being done here. By late 2017, former co-founder of AOL and current partner at Revolution Ventures, Steve Case, effectively validated these intuitions by announcing a new $150M venture investment fund led by prominent Silicon Valley investors, called Rise Of The Rest (ROTR) targeting tech companies in the American heartland. By February 2018, the ROTR team announced that their own four year campaign of visiting 33 cities over 7 bus tours, had yielded their first portfolio of investments. In March 2018 VentureBeat really stepped up to dig into the national investor conversation around the potential of tech companies to contribute to local economic development. 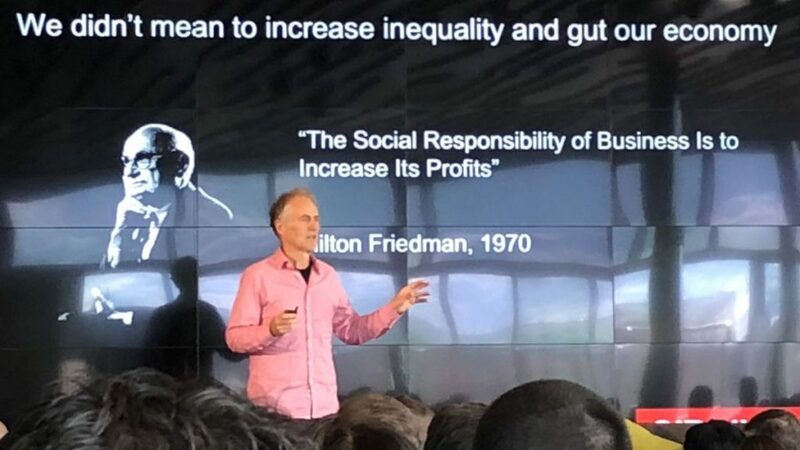 Speaking at VentureBeat Blueprint Reno, Tim O’Reilly, founder of O’Reilly Media, offers his agenda on what issues can be tackled through entrepreneurship. VentureBeat’s inaugural Blueprint conference in Reno was the first event to bring both high growth tech companies and startups into the same room as economic and workforce development organizations. Speaking at VentureBeat Blueprint Reno, Tim O’Reilly, founder of O’Reilly Media, discusses how Tech is creating a social and economic inflection point. The conference methodically engaged in the central question of “what does a blueprint of tech-enabled economic development look like?”; and introduced some foundational concepts such as Remote Working, Network Density, Catalytic Capital and Embracing Failure as an intellectual framework (or conceptual blueprint), to facilitate or create better-paid jobs across the country. Speaking at VentureBeat Blueprint Reno, Tim O’Reilly, founder of O’Reilly Media, discusses how corporate social responsibility is changing. 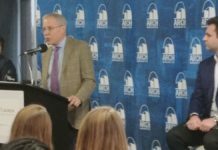 The conference also spotlighted the economic development impact across several startup cities in the U.S., and saw St. Louis based organizations, such as Cultivation Capital, LaunchCode, and EQ, independently sending staff to join the discussion. Speaking at VentureBeat Blueprint Reno, Tim O’Reilly, founder of O’Reilly Media, discusses why Tech companies must get involved in economic development. While St. Louis didn’t have a formal delegation presenting at the conference in Reno, the team at VentureBeat clearly recognized the efforts being made here and, since then, has forged a strong relationship with EQ. With that in mind, I’m thrilled to announce that VentureBeat has offered to host a St. Louis delegation in 2019. Members of our innovation community will be presenting at their next conference, VentureBeat Blueprint in York, PA, March 26-28 2019. 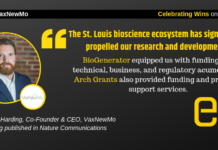 St. Louis’ startup ecosystem was at the center of national conversation many more times throughout the year. In late March, Facebook launched their nationwide Community Boost tour from St. Louis, and made significant contributions to local workforce development organizations, such as LaunchCode, Savvy Coders and Claim Academy. Facebook’s skills development training program also sponsored and coincided with the Midwest Digital Marketing Conference (MDMC), and so tacitly endorsed the grassroots marketing conference’s ability to win the attention of major tech companies. Facebook’s big splash further established MDMC’s impressive track record and, in my humble opinion, cemented its position as the leading event opportunity to introduce tech industry peers to St. Louis. With that in mind, I’ll re-iterate what I said on Facebook Live then (skip to 4mins 30secs), which is that every dimension of the innovation community should get behind and collaborate on growing MDMC into a festival akin to St. Louis’ version of South By Southwest. To walk the talk, I am also thrilled to announce a partnership with MDMC in 2019. EQ has teamed up with Perry Drake and his team at UMSL to provide a full day of programming in our first reader conference entitled, EQ Leadership Labs, to be held on Monday 15th of April at Union Station. Attendance of EQ Leadership Labs is free to MDMC 2019 ticket holders. The agenda is still being finalized, but you can register your interest here to attend. 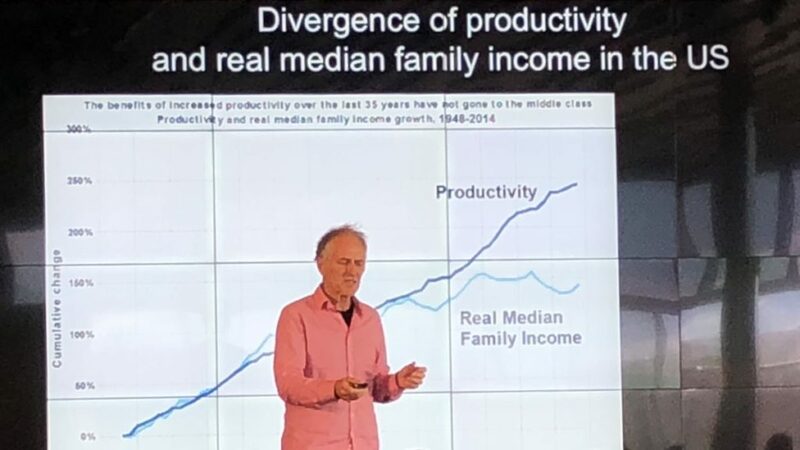 Led by the founding team of Janus Choice, a local chapter of Singularity University launched in St. Louis to explore the question of The Digital Divide. 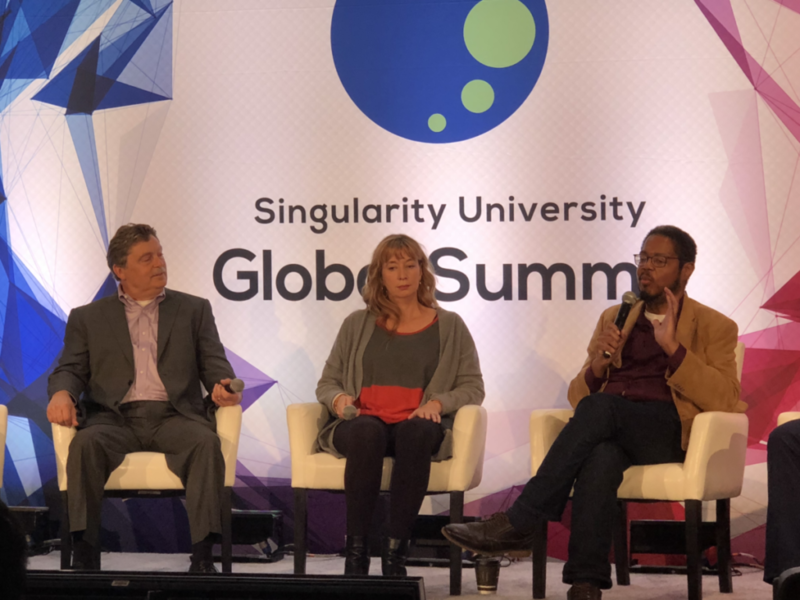 Over the summer of 2018, the MedTech startup was invited to present as a Singularity University portfolio company at the SU Global Summit in San Francisco, where both founders, Sasha Goodwin and Darryl Palmer, respectively gave a presentation and joined a panel discussion that spoke to a packed conference floor. 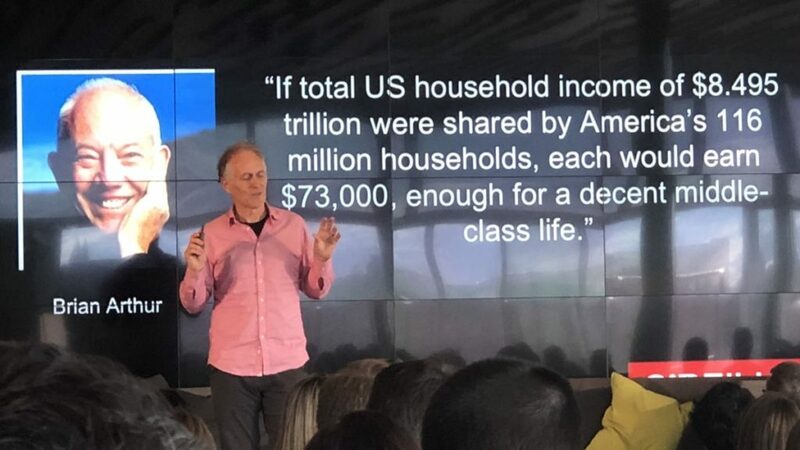 Darryl Palmer, Co-founder and CTO of Janus Choice, speaking at the SU Global Summit in San Francisco, August 21st, 2018. A St. Louis delegation that included representatives from Arch Grants and TEDxGatewayArch joined Janus Choice at the conference. EQ also attended and can testify to just how grand the event was, attracting innovators from all over the world. Following the SU Global Summit, EQ attended TechCrunch Disrupt in San Francisco, in what was probably the apex of our 2018 experience representing St. Louis. There, speaking to a huge crowd from the TechCrunch Disrupt main stage, Steve Case shouted out St. Louis saying, “in 10 years you’ll see an AgTech belt around the St. Louis area.” Citing recent changes in St. Louis’ agricultural industry sector, he explained why he would bet that heartland cities are likely to evolve into tech-enabled hubs. 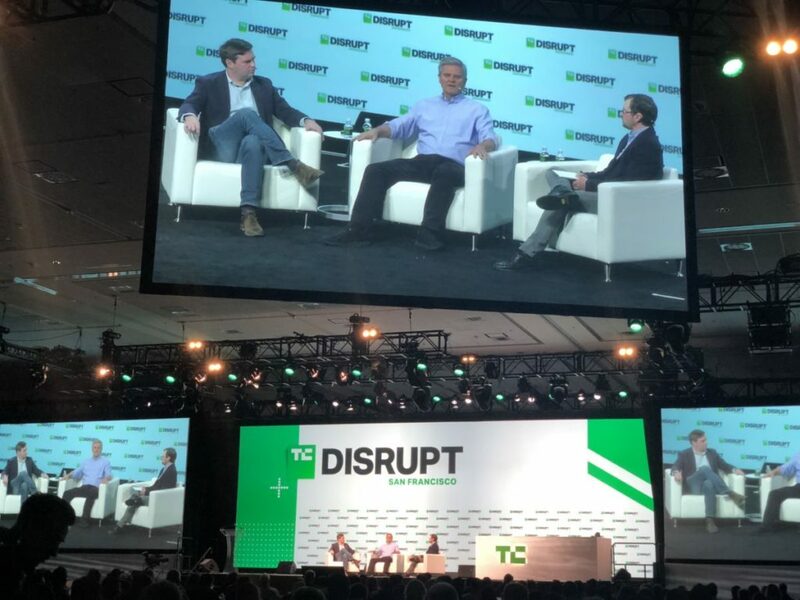 EQ attended TechCrunch Disrupt 2018 in San Francisco to hear Steve Case and J.D. Vance discuss Rise of the Rest their new venture capital fund targeting the America’s heartland. Finally, in Fall of 2018, Case’s assessment was immortalized in Forbes’ first ever national list of “rising start-up cities,” as St. Louis took a top spot, ranking second only to Columbus, Ohio. By the end of the year, Rise of the Rest lived up to the promise of deploying “catalytic capital,” as attention on St. Louis’ had gained two more votes of confidence. One of the most recognized and important new voices in venture capital, globally, Arlan Hamilton, Founder and Managing Partner of Backstage Capital, came to share her story with St. Louis at the Vision Conference in October. Hamilton had recently announced that she had invested $5M in “underestimated founders,” since 2015 and had launched a second fund, affectionately known as the “About Damn Time” fund to invest $36M in black female founders. As it was not disclosed at the time, I was both happy and surprised to learn that MedTech startup, Ilerasoft, was one of the first companies in which Backstage Capital invested. As a result of her personal connection to the city, the St. Louis innovation community enjoyed the good fortune of hosting Hamilton’s first public ever appearance since being on the front cover of Fast Company magazine; at the zenith of her incredible career transition from stage manager to investor. 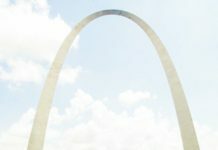 Looking back over 2018, these many brief but significant moments in the media spotlight, add up to a sense of ascendancy of St. Louis’ reputation for innovation in the national conversation. But if you were concerned that talk is cheap or wondering whether media attention really equates to dollars, let me submit this final coup-de-grace to the cynical mind. 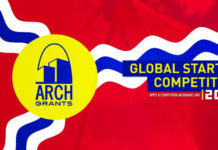 Following moves made by VentureBeat, Revolution Ventures and Backstage Capital, Chicago-based Chaifetz Group announced that it would kick off 2019 by making a $1,000,000 investment in Arch Grant recipient companies. Let’s hope we can continue to build on this momentum together. 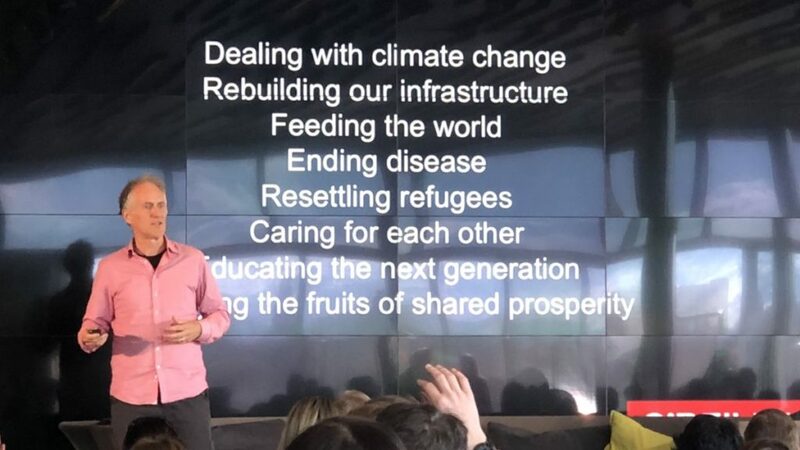 Rather than brand new, I would bet that a new brand city will emerge in 2020.